With the release of the heart-warming film Finding Your Feet later this month, Cox & Kings has launched a new private tour of Rome. The romantic and history-rich city has plenty of sights, galleries and museums to keep you busy. Here are five other highlights that veer away from the popular haunts of the Colosseum, the Spanish Steps and St Peter’s Square. 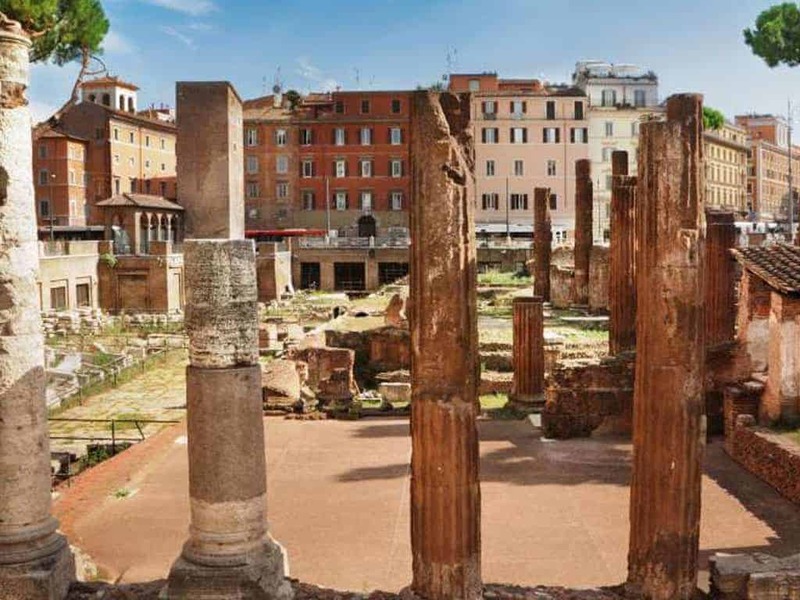 Dating back to the 4th century BC – in the times of the Roman empire – this square is where the remains of Pompey’s Theatre can be found and is known best as the location where Julius Caesar was said to have been assassinated. Unfortunately, some of the Torre Argentina was demolished when Italy unified and there were plans to reconstruct part of Rome, destroying the Torre in full. However, during the demolition, the arms and head of a marble statue were found. An investigation was launched, which uncovered the presence of a holy area, dating back to the Republican era. Since then, the ruins have been left untouched. One of Rome’s four ancient basilicas, St Paul’s Outside the Walls has a beautiful façade, so-called as despite being owned by the Holy See, it is not within the Vatican City . 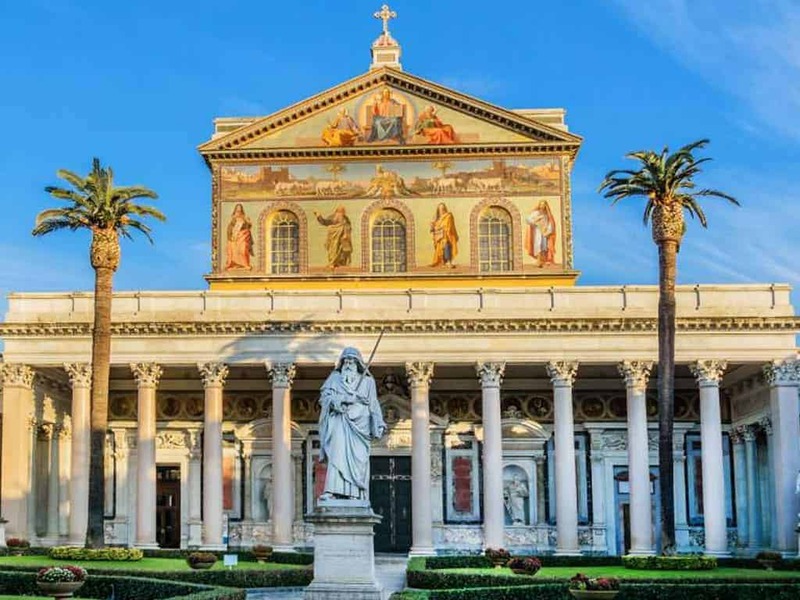 Founded by Emperor Constantine I at the beginning of the 4th century, it was built over the burial place of St. Paul and the nave ornately illustrates his life. Sadly, in 1823, the basilica suffered badly from a fire, so architect Luigi Poletti began reconstructing the building. Due to this, its neoclassical style is modern, gilded with gold leaf and stately cloisters and colonnades. Pope Pius IX had asked for donations towards the reconstruction and the Viceroy of Egypt sent alabaster, which were used for the windows. These are one of the stand-out features of the basilica. With a rather non-descript facade, you might find its interior quite a surprise! In 1626, the Santa Maria della Concezione dei Cappuchini – Our Lady of the Conception of the Capuchins – was commissioned by Pope Urban VIII and designed by Antonio Casoni. The Capuchin Crypt is comprised of several chapels that are laden with skulls and skeletons of Capuchin friars. The Crypt of the Resurrection features Jesus, who is depicted with skull and bones, raising Lazarus from the dead, creating rather a sombre display of art, that is quite the contrast to the colourful and vivacious frescos found all over the city. 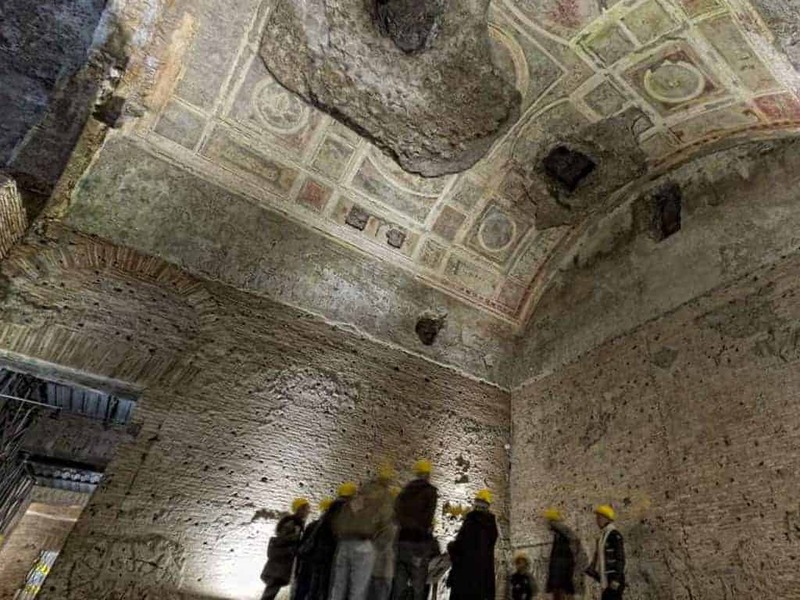 Known as Nero’s Golden House, this palace was built by Emperor Nero after the Great Fire of 64 AD had engulfed much of the city including the villas on the Palatine Hill and . Designed for entertaining, the Golden House had 300 rooms but no sleeping quarters, and no kitchen or toilet facilities have been discovered. The villa earned its title from the lavish use of gold leaf. Mentioned in Pliny’s Naturalis Historia, the palace’s frescoes and wall paintings also inspired Raphael’s Vatican Stanze. Originally the city’s second largest Roman baths, they fell into decline after they became disused around 530 AD. 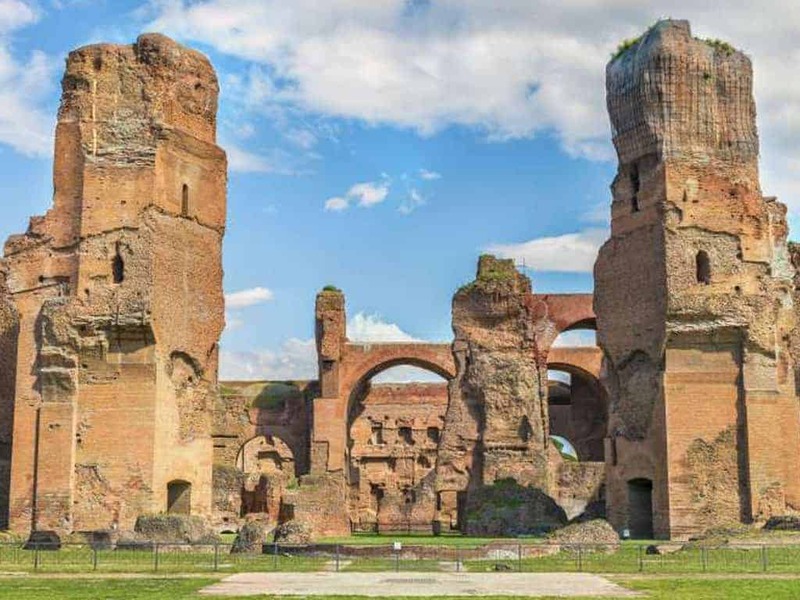 Despite their primary use as a Roman baths, there were also two symmetrical libraries, a roofless Olympic-sized swimming pool, an exedras – a seated area used for conversations and teachings –, a gymnasium and shops. It had been opulently decorated with frescoes adorning the ceilings, mosaics layering the floors and intricately detailed sculptures dotted around the baths.